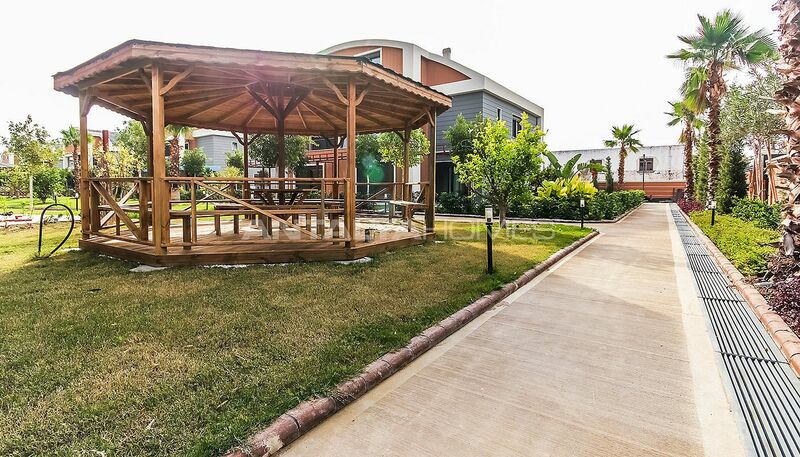 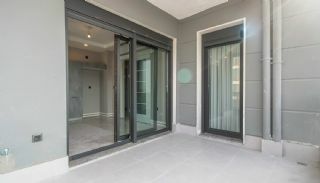 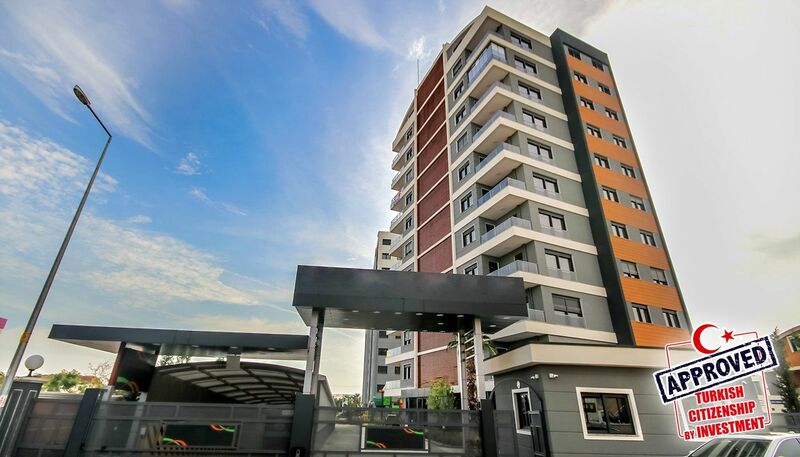 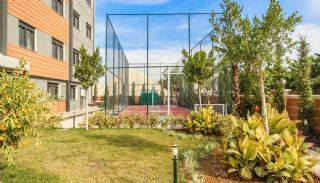 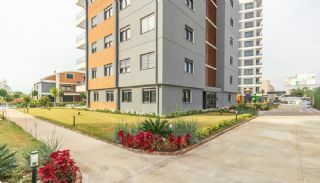 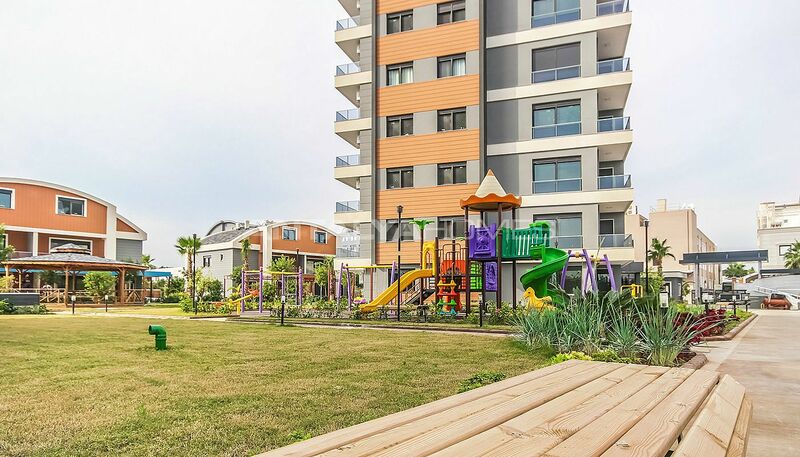 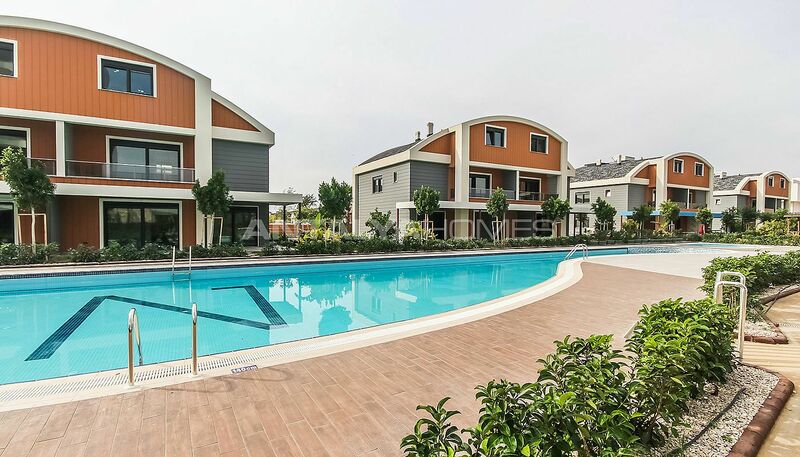 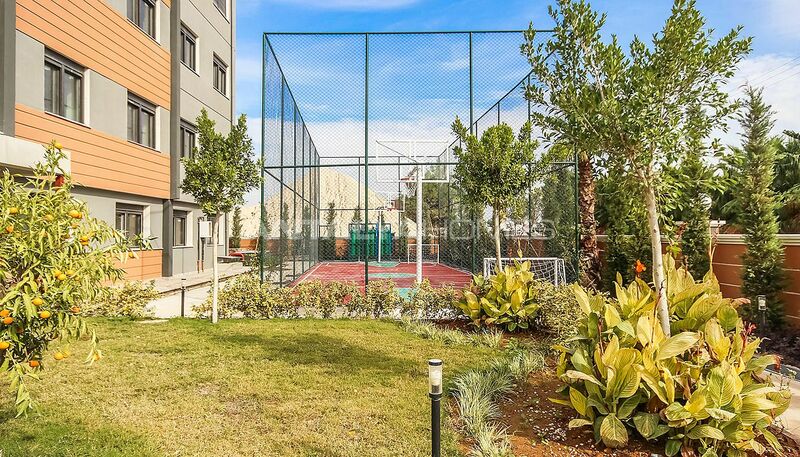 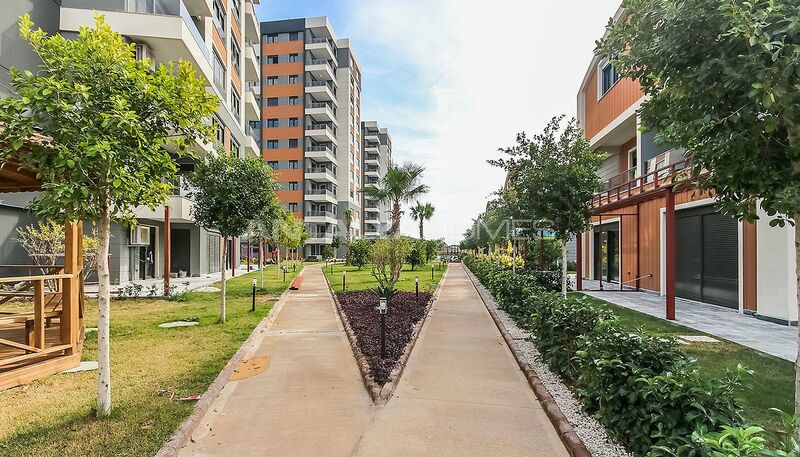 New-built houses are located in Aspendos Avenue, Muratpaşa. 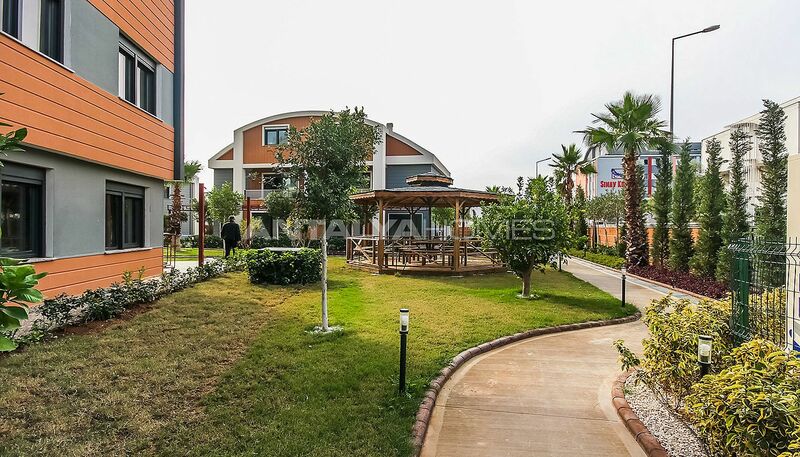 There are many schools, colleges, hospitals, banks, mosques, markets, shops, cafes and restaurants in the region. Public transportation is widespread around this region. 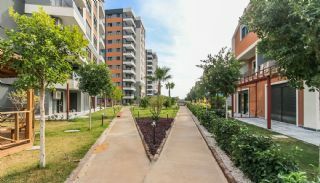 You can use easily tramway or bus in this region. The houses are 7 km to Antalya International Airport, 11 km to Konyaaltı Beach and Lara Beach, 15 km to Antalya Expo Center, 6 km to Antalya Marina, 5 km to MarkAntalya and Terracity Shopping Mall, 2.5 km to Metro Grossmarket, 4 km to Deepo Outlet Center and 100 meters to tram stop. 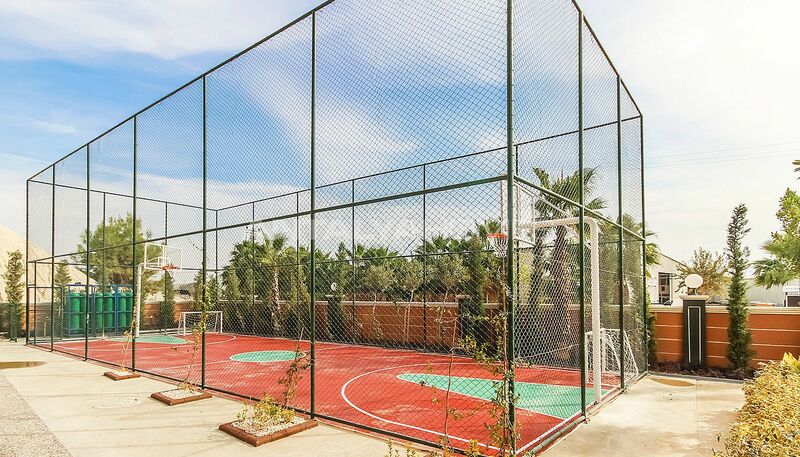 The complex has 11.000 m² construction area and 2.500 m² land area, it consists of 3 blocks, 87 flats and 10 villas. 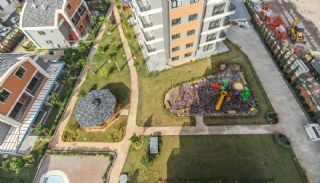 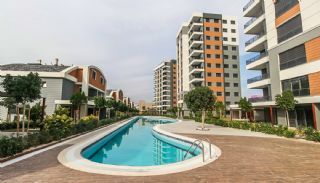 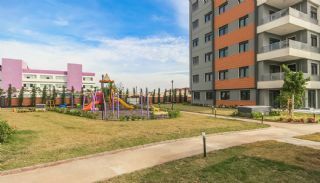 This complex has many social facilities like a swimming pool, open-air fitness, kindergarten, children’s playground, cafeteria, Turkish Bath, sauna, basketball field, walking paths, rest areas, landscape design greenery areas, caretaker, 24/7 security cameras system, lift, hydrofor, water tank, indoor and outdoor car parking areas. 1 bedroom houses are 54 m² with a living room, an open-plan kitchen, a bathroom and a terrace. 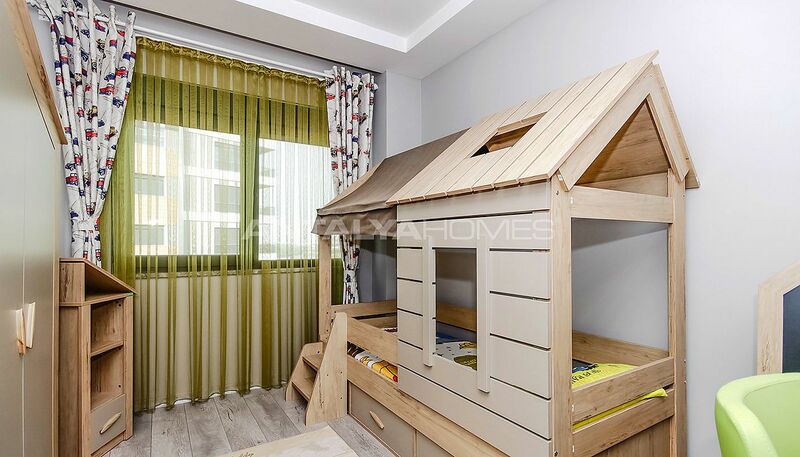 1 bedroom garden floor houses are 59 m² with a living room, an open-plan kitchen, a bathroom and a terrace. 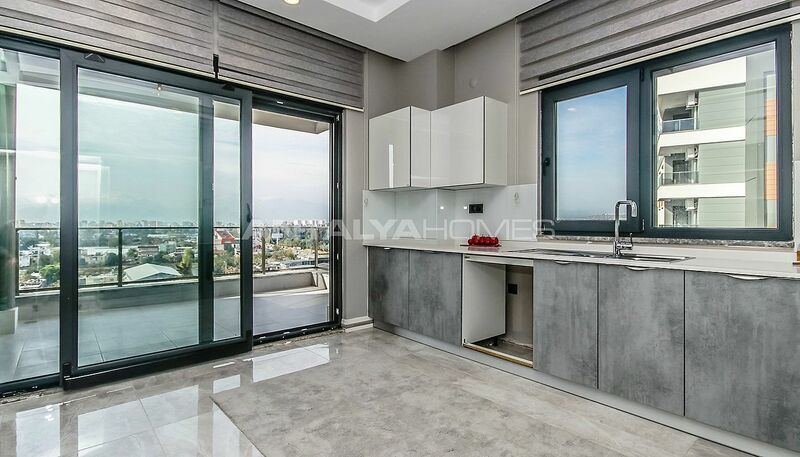 2 bedroom houses are 100 m² with a living room, an open-plan kitchen, a bathroom, an en-suite bathroom and a balcony. 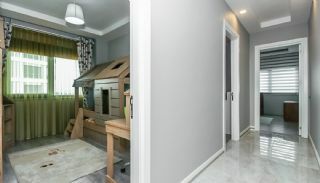 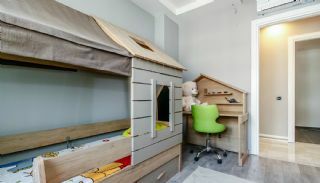 2 bedroom garden floor houses are 117 m² with a living room, an open-plan or a separate kitchen, a bathroom, an en-suite bathroom and a balcony. 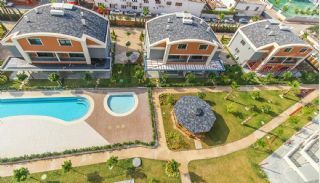 3 bedroom houses are 144 m² with a living room, a separate kitchen, a bathroom, an en-suite bathroom, a toilet and a balcony. 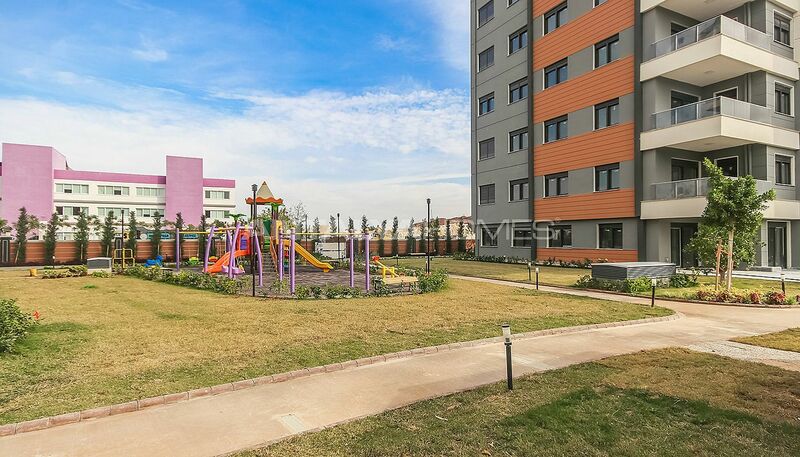 3 bedroom garden floor houses are 160 m² with a living room, a separate kitchen, a bathroom, an en-suite bathroom, a toilet and a balcony. 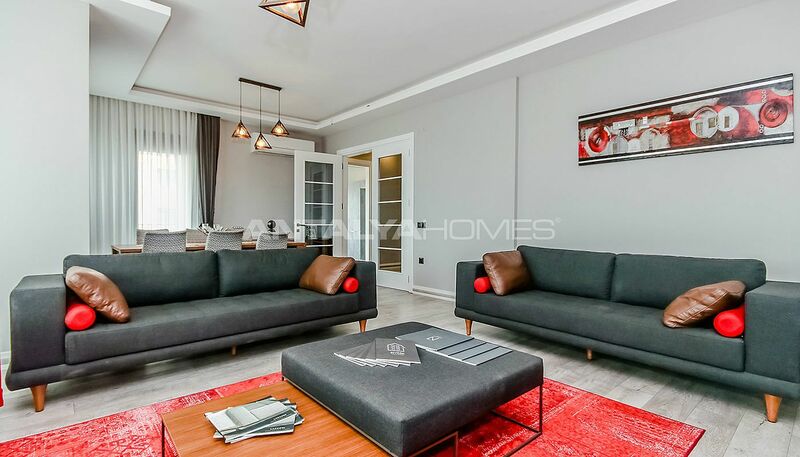 3 bedroom duplex house is 165 m² with a living room, a separate kitchen, 2 bathrooms, an en-suite bathroom, a balcony and a communal terrace. 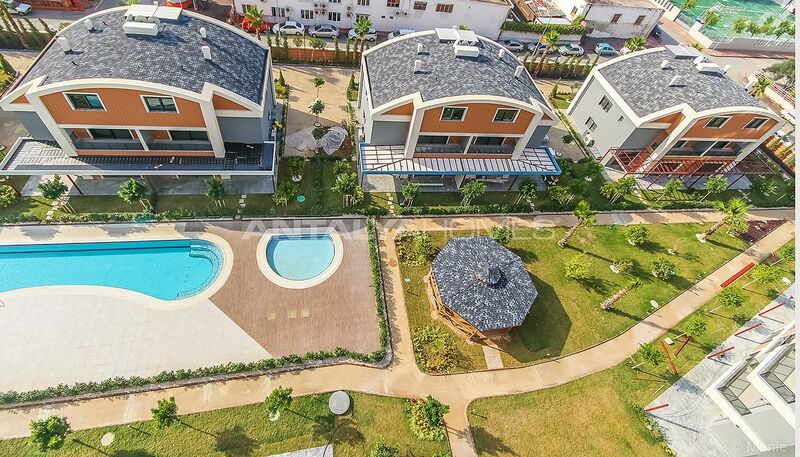 5 bedroom villas are 298 m² a living room, a separate kitchen, 2 bathrooms, 2 en-suite bathrooms, a balcony, a French balcony and a terrace. 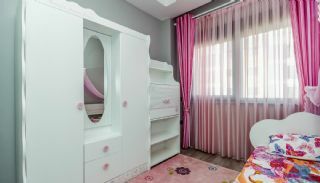 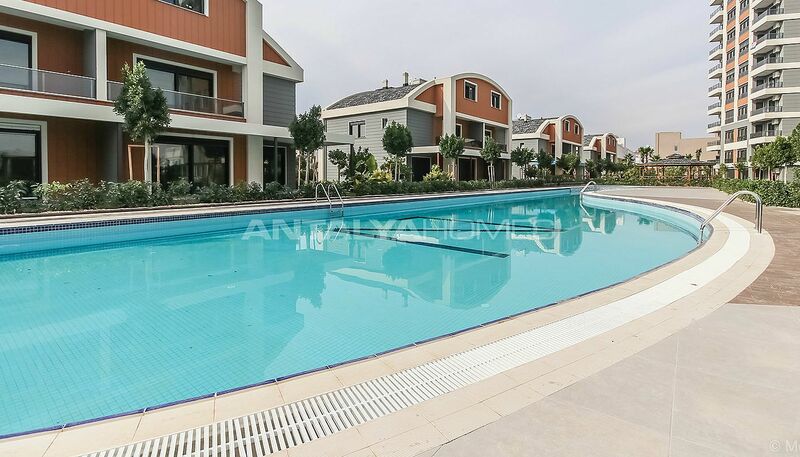 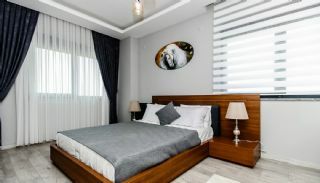 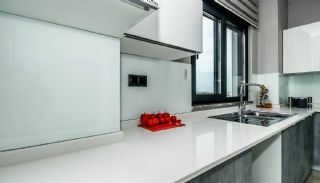 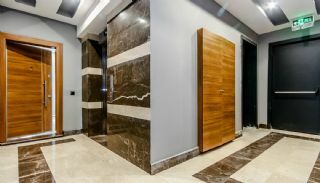 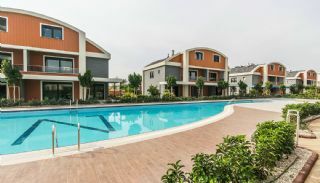 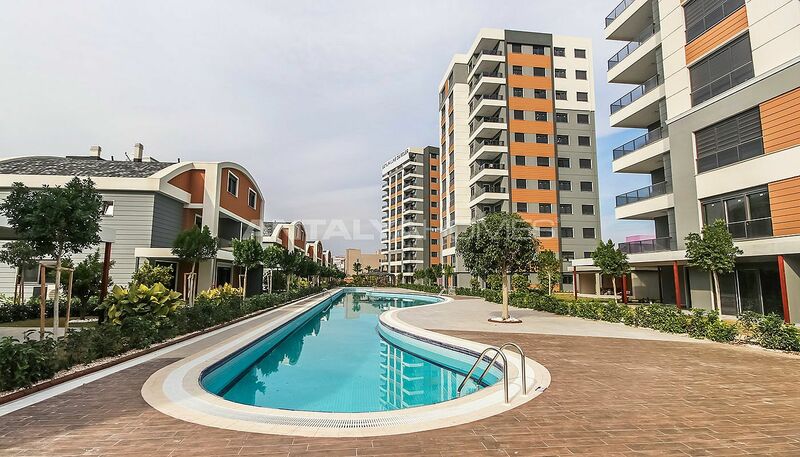 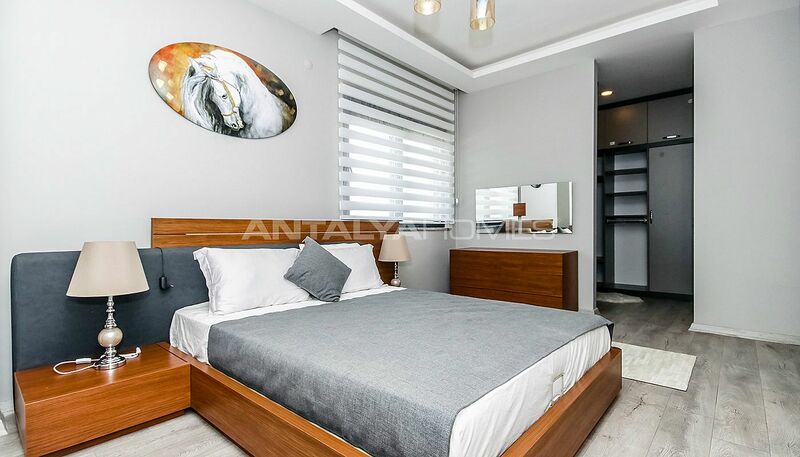 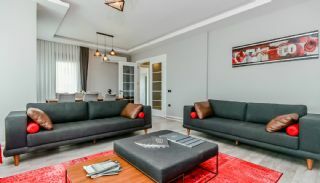 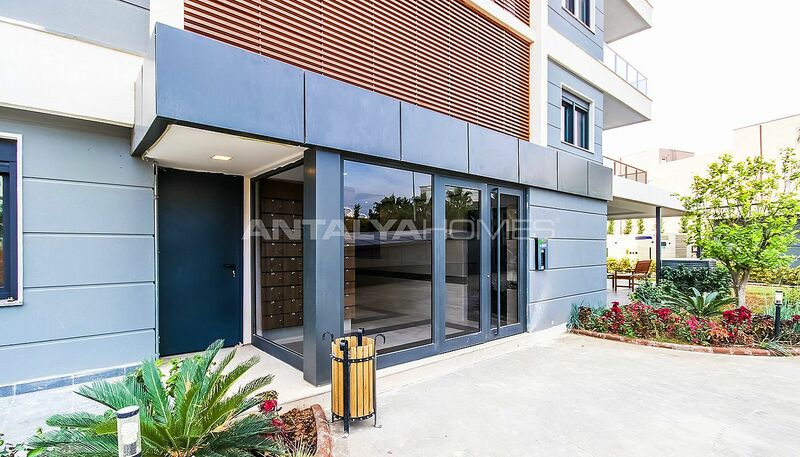 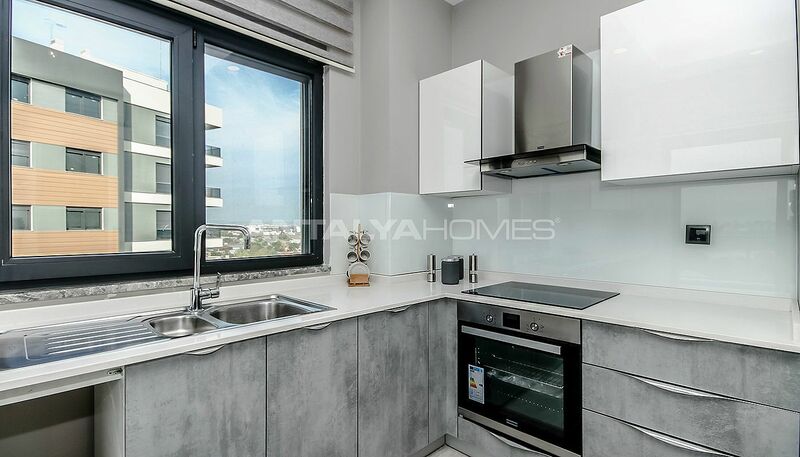 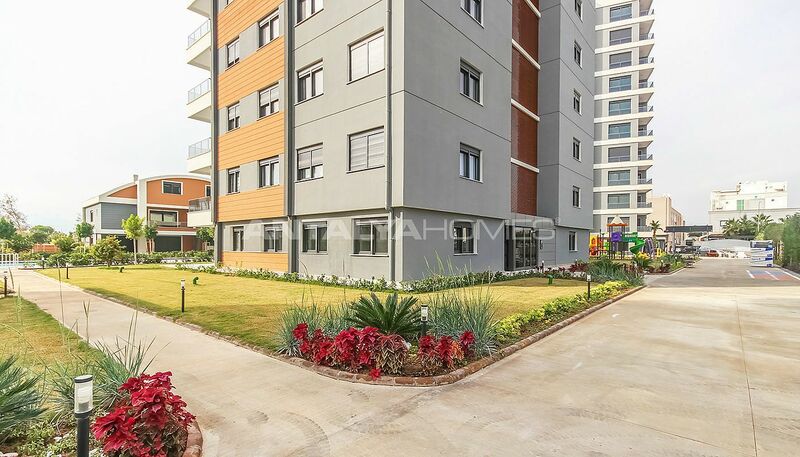 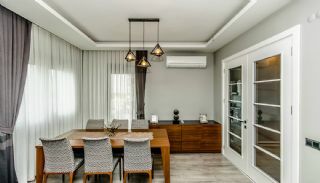 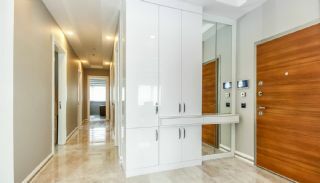 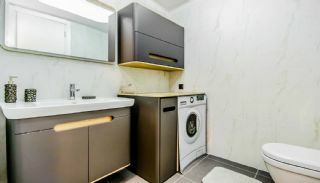 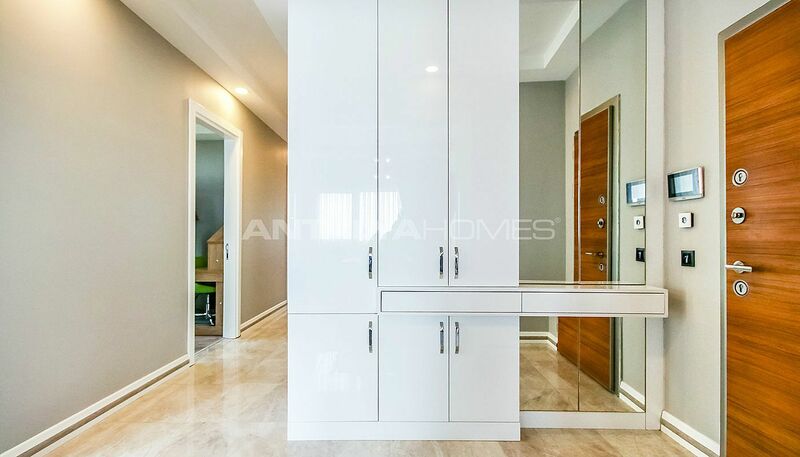 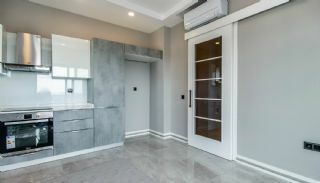 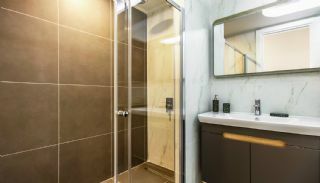 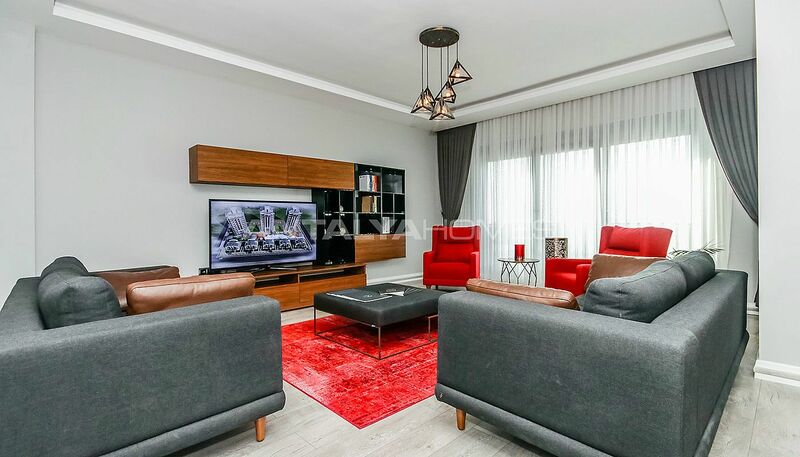 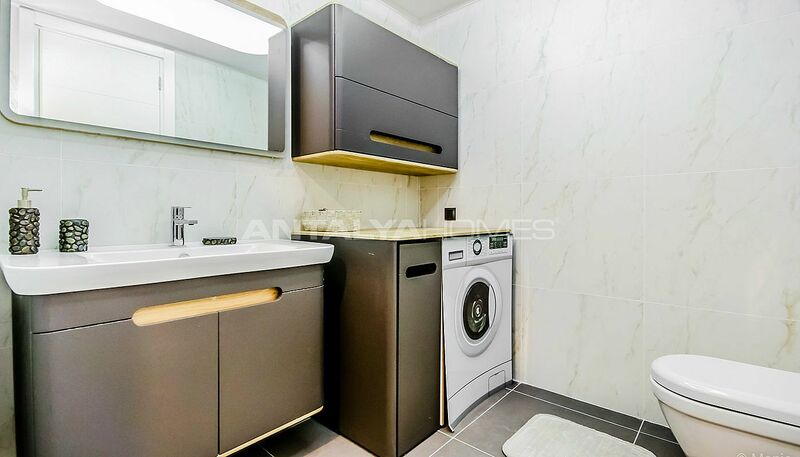 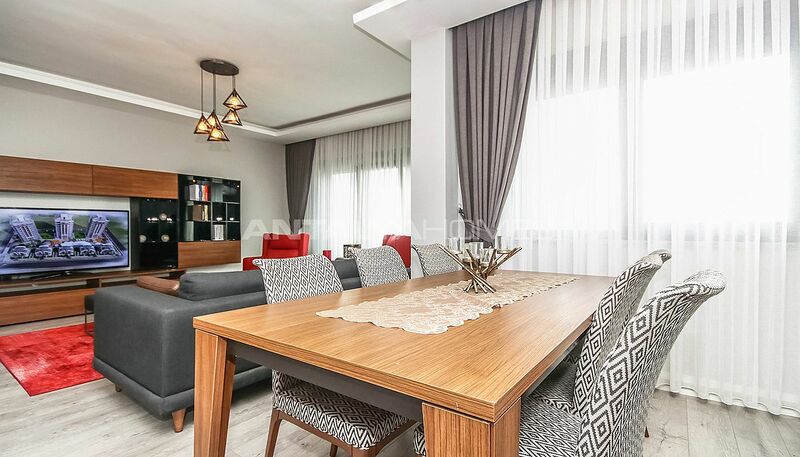 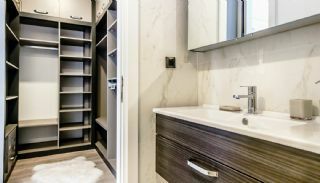 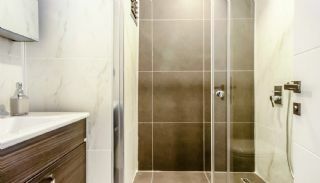 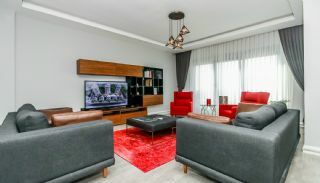 New-built houses in Antalya are equipped with many features such as smart-home system, kitchen appliances, central underfloor heating and high ceiling.